On 14 July five Gravesend crews entered Kingston Regatta, held in the grounds of Hampton Court Palace, with two crews bringing home pots for their wins. Early success saw three of our crews in the finals – the women’s four, and two of our men’s doubles. Our other men’s double had to re-row their race after a dead heat in the qualifiers, but unfortunately didn’t quite make it into the finals. 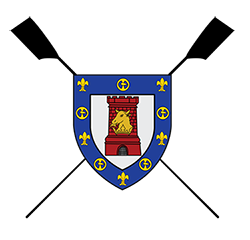 Our women’s four performed well, but their unbeaten run this year came to an end as they came second in the final, beating Kingston RC but lost to Cambridge University Women’s BC. 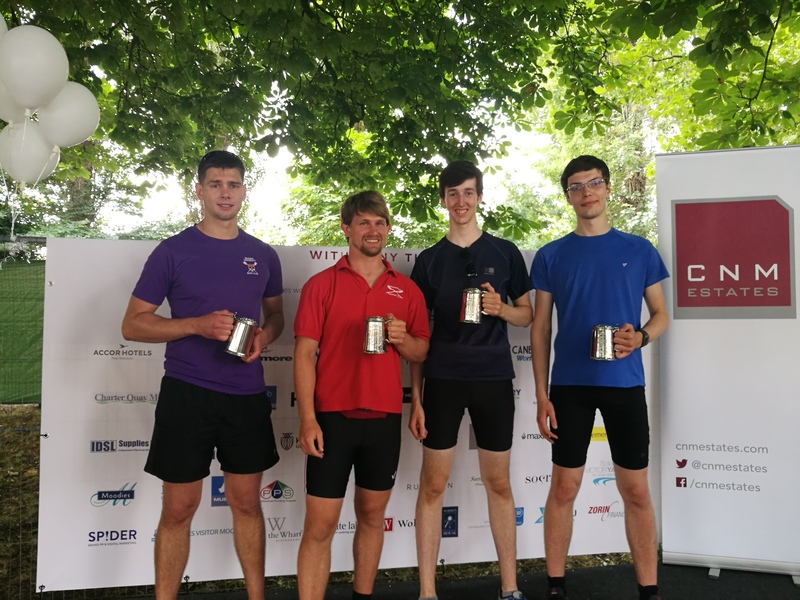 Our men however saw their hard work this season paying off, with two wins in the bands 1 and 2 finals – including a strong first ever regatta win for Sam and Joe. Well done to all our crews – we hope to see their winning ways continue into our next race at Sudbury on 4 August.